Winter can be dreary but thanks to the National Gallery of Art in Washington, D.C., we have the French, newly "reframed", to cheer us up on Leap Day. In the NGA's reconceived design for the galleries in its West Building, the masters' paintings have been reinstalled in thematic, monographic, and art historical groups. One installation, for example, features avant-garde Paris circa 1900, as represented in the work of Henri de Toulouse-Lautrec, Pablo Picasso, Amadeo Modigliani, and Henri Rousseau, while another combines Cezanne's landscapes, still lifes, and figure paintings. As part of the initiative, the NGA restored 13 artworks, including Renoir's well-known and popular A Girl with a Watering Can (1876) and Monet's The Bridge at Argenteuil (1874). And on view for the first time is Gustave Courbet's The Black Rocks at Trouville (1865-1866). If you can't get to D.C. to see the renovated galleries, do the next best thing and explore some of the links above and below. Even virtually, the paintings will inspire and delight, no matter the day's temperature. The Collection: French Painting of the 19th Century ~ Beginning with a brief overview, this resource includes a selection of online "tours", in some cases with audio: Manet and His Influence, The Beginnings of Impressionist Landscape, Impressionism, Postimpressionism, Vincent van Gogh, Paul Cezanne, Paul Gaugin, Mary Cassatt: Selected Paintings, Mary Cassatt, August Renoir, Claude Monet, Edgar Degas, and Romantics and Realists. Also available are several in-depth examinations of the work of Edgar Degas (The Dance Lesson) and Edouard Manet (The Railway, The Dead Toreador and The Bullfight, small French paintings from the Ailsa Mellon Bruce and Paul Mellon collections), and a virtual Van Gogh exhibition, "Van Gogh's Van Goghs: Masterpieces from the Van Gogh Museum, Amsterdam"). Picturing France, 1830-1900 ~ Created for NGA Classroom, this is a downloadable educational resource about 19th Century painting in France, organized by region and showcasing more than 50 works of art. she'd spread with a knife's point of mustard. what was the emptiness she found there. to leave a legacy of words that other people can relate to. An award-winning 82-minute documentary about the life and work of Detroit Poet Laureate Naomi Long Madgett (b. 1923), STARbySTAR: Naomi Long Madgett, Poet & Publisher introduces us to an extraordinary woman: the "Godmother of African American poetry". Madgett, professor emeritus of English at Eastern Michigan University, has published 10 poetry collections, including One and the Many (1956), Star by Star (Harlo Press, 1965), Pink Ladies in the Afternoon (1972), Exits and Entrances (Lotus Press, 1978; via resellers), Remembrances of Spring: Collected Early Poems (Michigan State University Press, 1993), Octavia: Guthrie and Beyond (1988; Lotus Press, 2002; also available through Wayne State University Press), and Connected Islands: New and Selected Poems (Lotus Press, 2004). In addition, she has published several textbooks, including A Student's Guide to Creative Writing (Michigan State University Press, 1980), and an autobiography, Pilgrim Journey (Lotus Press, 2006). The founder of Lotus Press, Madgett also is the editor of two anthologies, one of which, Adam of Ife: Poetry in Praise of Black Men (Lotus Press, 1992), presents the poetry of 55 African-American women. Earlier this year, Madgett became the recipient of the Kresge Foundation's $50,000 2012 Eminent Artist Award. That prize follows a long list of citations, including an American Book Award, a Governor of Michigan Artist Award, a College Language Association Creative Achievement Award, a Black Scholar Magazine Award of Excellence, induction in The Michigan Women's Hall of Fame, and several honorary degrees. A national competition open to African-American poets is named for her. Widely published, the Virginia-born Madgett was just 13 when her first poem appeared in a local newspaper, 15 when she met Langston Hughes, who autographed one of his poetry books for her, and 17 when her first collection, Songs to a Phantom Nightingale, debuted. Using historical photographs and documents, interviews, and footage of poetry readings, filmmaker David B. Schock traces Madgett's cultivation of her poetic voice, her years as a teacher, and her commitment to Detroit, where she has been a tireless activist, arts supporter, and literary influence. The film is available as a DVD. Poems of Naomi Long Madgett Online: "On Corcovado Mountain", "Packrat", and "Renewal" at Naomi Long Madgett; "Alabama Centennial" and "Midway" at Veterans of the Civil Rights Movement; "Phillis" at Wheatley Biography; "Morality" and "Quest" at African American Registry; "Woman with Flower" at The Writer's Almanac; "Alabama Centennial", Video, at Poets&Writers; "Black Woman" at Bookaddict4real; "Woman with Flower" at defining parent (same poem is also at Painted Path); "New Day", Video, at DetNews; "Midway" at We Can Fly; "Life"
. . . If lucky, love will distract us more than suffering. and thrown like a hooded bird into a sea of light. If trusting the fall, we find our wings. . . .
Also see the Writing Without Paper post for February 14, 2010. Today's edition of Saturday Sharing will take you to a site addressing all things Iranian; show you around artist Trong G. Nguyen's library, where all the "books" are made with rice grains; introduce you to Britain's first Children's Laureate Quentin Blake, who is the subject of a new iTunes app; spotlight an online literary magazine for writers who are women; celebrate Charles Dickens with Cambridge University Press, which recently published a facsimile edition of Great Expectations; and leave you moved by an animation of a Charles Bukowski poem. ✦ If you're a writer, you'll want to take stock of Women Writers, Women Books, an online literary magazine launched in 2011 for, by, and about contemporary writers who are women. The reviews, writing advice, publishing how-to, and marketing and promotion tips come from women around the world who write in English. The magazine welcomes guest blog posts; submission guidelines are here. ✦ Though ad-heavy, the site Payvand carries some interesting and informative features related to art, books, dance, fashion, film, music, photography, and poetry by Iranians and Iranian-Americans. Self-described as "a window into Iran through which we can promote understanding, dialogue, and peace", Payvand also addresses human rights, the environment, technology, and other subjects of importance. ✦ Known for his wonderful illustrations for Roald Dahl stories, Britain's first Children's Laureate Quentin Blake is the subject of a recently released iTunes app: Quentin Blake: As Large as Life. Included are a gallery of high-resolutions images of work that Blake created for hospitals in the United Kingdom and France, an artist interview in which Blake talks about his work methods, and information about two limited-edition prints available for purchase. The material derives from an exhibition in London at The Foundling Museum on view through April 15. 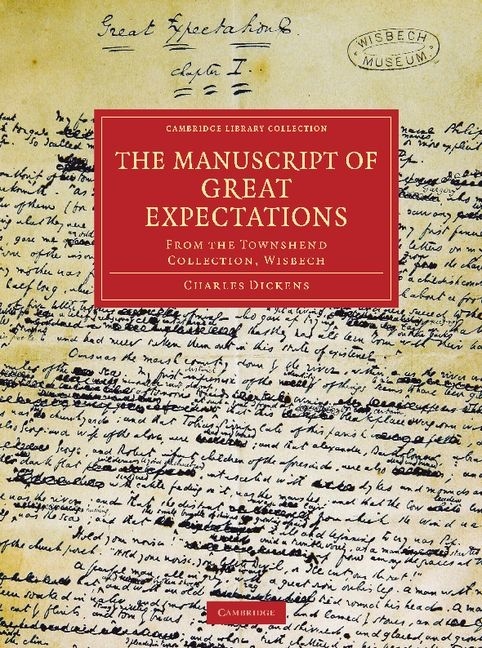 ✦ Celebrating the great writer's 200th birthday, Cambridge University Press has published a fascimile edition of Charles Dicken's Great Expectations titled The Manuscript of Great Expectations (December 2011), complete with corrections and alterations in the author's hand. (Some close-ups of pages from the manuscript at here.) Dickens gave the manuscript to a close friend, Chauncy Hare Townshend, who bequeathed it to the Wisbech and Fenland Museum in 1868. For the facsimile, CUP newly photographed the manuscript and reproduced it at size in color. ✦ Vietnamese-born and New York-based artist and curator Trong G. Nguyen has created an unusual library. Each of his "books" is made of rice kernels, each grain of which carries a single word in ink, all combined comprising either the complete text or an individual "chapter"; the title of the book, which carries due dates stamped in black or red, is written on gold-painted rice grains. Among Nguyen's re-creations in rice are all of Roland Barthes's La chambre claire (Camera Lucida), a collection of 48 mylar packets of rice kernels; Mark Twain's The Prince and the Pauper; and Baum's The Wonderful Wizard of Oz, all shown here. Additional projects are described here. ✦ Today's feature video is the gorgeous "Bluebird" animation by Monika Umba of a Charles Bukowski poem published in the 1992 anthology The Last Night of the Earth Poems. The animation does not include the poem's text. To hear Bukowski (1920-1994) read his own poem, go here (the text is provided with the audio). My thanks to Moving Poems, Brain Pickings, and The Poetry Foundation's Harriet blog, where the video has been highlighted. A selection of poems by Bukowski can be found here and here. ✦ Congratulations to Marilyn Henrion whose Disturbances, comprising hand-quilted pieced silks, was acquired recently by the Newark Museum for its permanent collection. Henrion's Disturbance series may be seen here. Don't miss Henrion's online gallery. Also see my post of September 15, 2011, "Marilyn Henrion's 'Soft City'". ✦ If you can't travel to see the splendors of stained glass in the world's great churches, do the next best thing: download Art of Stained Glass, for iPhone and iPad. The app, released last summer, offers images by well-known photographers; any image from the slideshow may be used as wallpaper. ✦ Chicago's nonprofit Woman Made Gallery, which aims to "ensure the equal placement of women's art in the world", is the subject of a NEA Art Works post, "Art Talk with Beate Minkovski of Woman Made Gallery". Founded in 1992, the WMG has shown the work of more than 7,000 artists who are women. In addition to exhibitions, it offers programs that seek to educate and enrich the community about the contributions of women to contemporary culture. Take time to browse the site, read the artist calls, view the artisan and many member galleries, and consider the workshops scheduled for this year. 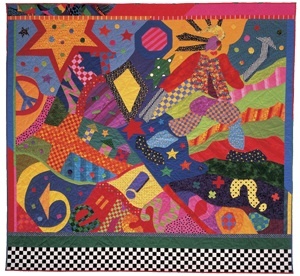 ✦ More than 100 guilds around the world, including the United States, make up the Modern Quilt Guild, whose blog The Modern Quilt Guild showcases quilts and quilting techniques. Currently showing are 100 days of block quilts. ✭ In Newark, New Jersey, the Newark Museum is celebrating the 50th anniversary of the birth of the studio glass movement in America with "Studio Glass 1962-2012", a survey of work, drawn from the museum's own holdings. Most of the more than dozen pieces on display are recent acquisitions; several are being shown for the first time. Among the important American and European glass artists represented are Dale Chihuly (Permanent Blue Macchia with Cadmium Orange Lip Wrap, 1986), the Czech duo Libensky and Brychtova (cast sculpture), and Toots Zynsky (see image). Glass, 5" x 11" x 7"
✭ Through April 8, you'll find on view at the Oklahoma City Museum of Art "Illuminations: Rediscovering the Art of Dale Chihuly". Drawn from the museum's collection, the glass is in newly installed galleries that allow some objects, including Float Boat and Ikebana Boat, to be viewed from all sides. Complementing the show is "Chihuly: Northwest", which includes glass sculptures inspired by Native American baskets, Chihuly's own collection of Native textiles, and pieces from Chihuly's White series, shown recently at Pismo Fine Art Glass. 21" x 16" x 15"
Note: The Chihuly Garden and Glass, in Seattle, Washington, opens this spring. ✭ Paper as art form is the subject of an exhibition of Rockford, Illinois, artist Roland Poska, "Pulp and Pigment: The Realms of Roland Poska", on view through May 6 at Rockford Art Museum. Considered a pioneer in the use of handmade paper, the artist (b. 1938 in Scotland) combines pulverized rag fibers with ground raw pigments to construct beautiful abstract paintings that take on the qualities of sculpture; he calls them "papestries". Poska founded Fishy Whale Press in the 1960s and has long worked with leading printmakers. His artwork is in numerous public and private collections. Images of some of Poska's work can be seen here, here, and here. ✭ In New York City, The Jewish Museum is presenting through March 25 "The Radical Camera: New York's Photo League, 1936-1951". The exhibition includes the documentary photography of Jack Manning, Jerome Liebling, and Sid Grossman, among the work of more than 80 featured artists who photographed New York City's most ordinary inhabitants. ✭ The Flomenhaft Gallery, also in New York City, is exhibiting a selection of works from its collection of African American artists, including Romare Bearden's collage Up at Minton's, Jacob Lawrence's Chess on Broadway (ink on paper), Faith Ringgold's Double Dutch on the Golden Gate Bridge (acrylic on canvas, tie-dyed, pieced fabric border quilt), and Carrie Mae Weems's four-part suite from Sea Island Series (photographs). The work is on view until March 3. More information about the show is here. machine that will fabricate it for you on the spot. . . .
How does a thirty-year-old technology finally become commonplace? In this TED Talk, Lisa Harouni, co-founder and CEO of Digital Forming, describes "the extraordinary idea" of 3-D printing, or "additive" manufacturing, and explains why, as many barriers to use have broken down, 2012 may be the year this fascinating technology comes into its own, allowing architects, product designers, and others to create intricate, and often beautiful, bespoke structures, from prototypes of buildings, to once-obsolete spare parts, to personalized merchandise, to medical prostheses that can be constructed no other way. The technology, Harouni emphasizes, is "revolutionary." Today's Wednesday Wonder is Sekko Daigo, a shodo master, or master of calligraphy. She is recognized throughout Japan and has received much acclaim for her work. Lucky students in Portland have the opportunity to study with her. Daigo creates exquisite Kindaishi (modern style) and Tensho tai (seal script). of our honking, hoar-frosted throats. breaking against my thin chest wall. I offer this poem for this month's Random Acts of Poetry prompt, "Red". What's your take on the color? Go here to read the post, then leave your poem or a link to it on the FaceBook Wall for T.S. Poetry Press by tomorrow, February 22. Your contribution could be featured at The High Calling or TweetSpeakPoetry, or in Every Day Poems. Kathleen Flenniken was appointed Washington's new State Poet Laureate earlier this month. Only the state's second Poet Laureate, Flenniken will serve a two-year term ending in February 2014. Samuel Green was Washington's first official state poet, serving from 2007 to 2009, after which the Poet Laureate program was suspended for budgetary reasons. In 2011, agreement was reached to resume the program but without state funds. The $10,000 stipend that Flenniken has received to help cover her activities on behalf of poetry, including public readings, workshops, and lectures, comes from the National Endowment for the Arts and Humanities Washington; support for the program also comes from private donations. For Flenniken's current schedule of poetry-related events, go here. Background on the law that established the Poet Laureate program and articles and other laureate-related resources are found in this February 2011 post. and in my precious night class that saved my sanity . . . It's a joyful way to enter poetry. . . .
a bed of her own. What I particularly like about this poem is the depth it acquires as it shifts us from the stunning visual of the graves "washed down the hill" to the garden, which, fed by the remains, blooms. The details ("golden rays" of daffodils with their connotation of rebirth; the "delicate crown" of the pheasant eye narcissus, also known as the poet's narcissus; the flowering of white freesia, symbolizing purity and innocence, which "illumined the dark") take on religious significance but are not in the least heavy-handed. And the wonderful addition of "It smelled like black pepper", keeps the poem grounded and accessible. Like many of Flenniken's poems, this one yields more with a second or third reading. Flenniken's poems have appeared in American Life in Poetry, DMQ Review, The Iowa Review, Mid-American Review, Poetry Daily, Poetry Northwest, Prairie Schooner, Southern Poetry Review, Verse Daily, Willow Springs, and other literary periodicals and anthologies. In addition to a Pushcart Prize (2012) and an Artist Trust grant, Flenniken has received a National Endowment for the Arts fellowship (2005). President of the nonprofit Floating Bridge Press, which publishes and promotes the work of Washington poets, Flenniken teaches poetry writing through Seattle's Writers in the Schools and other arts programs.
. . . Each of our lives is a sentence in its story. Loving is the art of putting down our want to be the hero. the light in all of us is opened. It is the light of all that matters. Drinking of that light brings us back to life. Mark Nepo's January 9, 2012, meditation, "A Spiritual Problem" is available here in its entirety. Come in from the cold and sample today's selections at Saturday Sharing, which travels to the British Library for the written word; the National Film Board of Canada's Main Street; Chile, where you'll see the most amazing fingerpainting; and the virtual and wall-less Monasteries of the Heart. When you feel like sitting down for a spell of reading, make a choice from Storycuts. ✦ The Random House Group series Storycuts has more than 250 digital short stories from a range of writers across genres. ✦ If you've been to the British Library or even visited it online, you know what an extraordinary resource it is. Complementing a recent BBC series on the written word, the library presented online related holdings in its collections, among them oracle bones (c. 1600-1060 BC) from its Chinese language collections; the Diamond Sutra, a Buddhist scroll made in 868, the world's "earliest complete survival of a dated printed book"; and Beowulf, the 3,000-line epic poem in Old English. You may explore these invaluable texts and many other now virtual treasures using the library's Turning the Pages™ system. There are apps for them, too. ✦ I'm delighted to pass on this link to Monasteries of the Heart from my friend Peggy Rosenthal at Image Journal (see her post here). A virtual "monastery without walls", the organization describes itself as "a movement of seekers interested in becoming part of a community of seekers. . . to support one another in shaping their spiritual lives around Benedictine values and priorities." You'll find some wonderful resources here, including excerpts from Joan Chittister's book The Monastery of the Heart, selections of prayers, audio for experiencing lectio divina, poems of Christian mystics, and an interactive book, Awakening the Mystic in You. ✦ An art-and-the-law blog worth following: Art and Artifice. ✦ My friends at the Smithsonian Institution Archives have uncovered a remarkable trove of images from the Nicholas V. Artamonoff Collection, comprising 543 photographs taken in Istanbul and five archeological sites in western Turkey by Nicholas Victor Artamonoff (1908-1989). Browsing the collection, maintained by Dumbarton Oaks in Washington, D.C., is a delight. ✦ This short, The Art of Time by Martina Chamrad, takes us to the Tamarind Institute in Albuquerque, New Mexico, for a behind-the-scenes look at lithography. Now in its fifty-second year of printmaking, Tamarind has worked with a stellar group of artists, among them Elaine de Kooning, Jim Dine, and Kiki Smith. Chamrad's blog Between East and West is worth a look. Her other videos are accessible here; her Les Ottinger short is noteworthy. 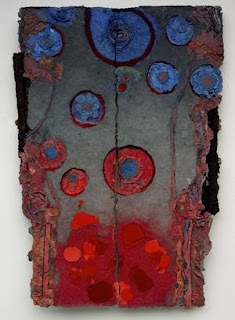 ✭ In Turlock, California, Carnegie Arts Center is exhibiting through March 14 the textile artistry of Yvonne Porcella. The show, "Yvonne Porcella: A Retrospective", honors Porcella's textiles, which are in the collections of the Smithsonian American Art Museum, Phoenix Art Museum, Museum of Arts and Design (see her Snow on Mount Fuji there), and other notable arts institutions. Her quilts, as the image below shows, are imaginative and beautifully made narrative collages, exceptionally rich in color and full of intriguing symbols, figures, and forms. An informative six-page press release on Porcella's retrospective that includes images is here. Also see Lisa Millegan Renner's feature article, "Yvonne Procella's Fabric Art Next for Turlock's Carnegie Arts Center", Merced Sun-Star, January 13, 2012. Porcella is among the quilters profiled in the PBS documentary America Quilts. ✭ Washington, D.C.'s Phillips Collection, one of our finest local art venues, is showing through May 27 Brooklyn-based Alyson Shotz's Ecliptic, a series of three interrelated monumental drawings of yarn and nails. The work was commissioned as part of the museum's popular "Intersections" series. ✭ In New York City, one of my favorite museums, Museum of Arts and Design, has opened "Swept Away: Dust, Ashes, and Dirt in Contemporary Art and Design", on view through August 12. 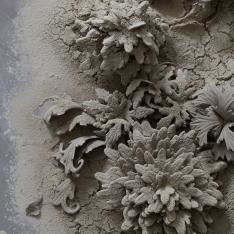 All of the artists represented use such materials as dust, ashes, dirt, and sand to address in their work issues of ephemerality, impermanence, memory, loss, fragility, and disintegration. Featured are Zhang Huan's haunting ash sculptures (see his ash, steel, and wood Jesus of 2011), James Croak's extraordinary life-size sculptures of unfired dirt (see one series of process photos here), and Kim Abeles's work using city smog (see The Smog Collectors at her site). From March 6 to May 14, a series of "live" installations, Swept Away Projects, are scheduled and will include Catherine Bertola, who creates artworks from dust, which she describes as "a mechanism for storytelling". Video interviews with participating artists and an exhibition catalogue complement the exhibition. Cummings, who works in raw clay, was last year's recipient of the prestigious Spode Award (see this feature about the award). See some of her other work here. ✭ The Museum of Art at the Rhode Island School of Design, in Providence, is presenting "Nancy Chunn: Chicken Little and the Culture of Fear" through April 15. Comprising a series of paintings in which Chunn uses the allegory of the folk fable Chicken Little to show how fear and panic enveloped American culture and politics after the terrorist attacks of September 11, 2011, the show includes six of Chunn's 11 "scene cycles" for which she has appropriated found images from different decades that she has grouped on different-size canvases to mimic frame-by-frame views of 24-hour news broadcasts; she organizes the canvases over what she calls "amoeba" shapes painted directly on the wall. In the scenes she portrays environmental disaster, road rage, poverty, crime, and the "nightmares" of healthcare and medical research. A selection of images may be viewed here. Nancy Chunn Artist Page at Ronald Feldman Fine Arts (Here you'll find Chunn's biography, a list of selected publications, press coverage, an interesting discussion of her work, and images of Chunn's work.) This 10-minute YouTube video of Chunn's "Nancy Chunn: Media Madness" exhibition features the artist talking about her fascination with American history, culture, media, and politics, and her technique, imagery, and artistic intent. She also discusses her use of the Chicken Little story and how she employs humor to uncover serious issues. ✭ At Abbot Hall Art Gallery, Kendal, Cumbria, United Kingdom, the art of "Turner and His Contemporaries" is on view through April 14. 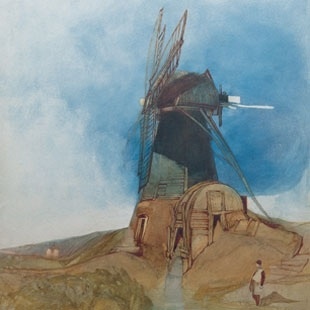 The exhibition of more than 40 works from the Sir Hickman Bacon Watercolour Collection presents not only J.M.W. Turner's sublime watercolors but also those of Thomas Girtin, John Robert Cozens, and John Sell Cotman. An exceptional show of 18th and 19th Century watercolors. A color catalogue of the show is available. A selection of exhibition images may be downloaded here. On February 7 in Minneapolis, Open to Interpretation launched Water's Edge, the first of a planned series of themed books resulting from an international juried competition of photography, poetry, and prose. The competition involved a call for photographic entries that generated more than 1,500 submissions resulting in 31 finalists, and a call for written entries to which 203 writers responded. Publisher Claire O'Neill notes in the Introduction to Water's Edge that entries came from 25 countries and 40 states. The 92-page custom-printed hardcover features the work of 89 photographers, poets, and prose writers. 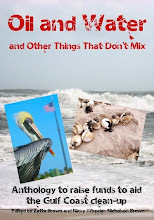 Image selections were made by Douglas Beasley, founder and director of Vision Quest Photo Workshops, and the poems and stories inspired by them were chosen by Anastasia Faunce, a writer, editor, educator, and arts administrator. Each of the 32 fine art images, which appear either in color or black-and-white, is paired with two written "interpretations". For a preview, go here. I'm delighted to announce that my poem "Illustrating Cell Division", inspired by Mequon, Wisconsin, photographer Ron Horbinski's image, is included in Water's Edge. A complete list of the photographers and writers, as well as thumbnails of each of the featured images, can be found here. A $300 Judge's Choice Award went to writer James Harms of Morgantown, West Virginia, and photographer Marc Ullom of Niles, Michigan. Purchasing information for Water's Edge is here. Open to Interpretation currently is accepting photographic entries for "Fading Light" (the deadline is March 15; the judge is curator, historian of photography, and writer George Slade) and poems and prose for "Intimate Landscape" (the deadline is March 29; the writing judge is Patrick Thomas, an editor and program manager at Milkweed Editions). The online gallery of images selected for the latter competition by photography judge Karen Irvine, curator and manager of publications at the Museum of Contemporary Photography at Columbia College Chicago, is here. You don't have to be a kid to delight in artist and author Hilary Pfeifer's Elephabet, a recently published alphabet book that will challenge you to say as fast as you can the charming creatures' names, each of which is a portmanteau, a combination of some word beginning with a letter from the alphabet and the word "elephant". You do have to smile, however, when you hear or say the names aloud. Elephabet from Hilary Pfeifer on Vimeo. Pfeifer, whose family tree of creatives includes the painter Mary Cassatt, has a more serious artistic side that has brought her a number of grants and residencies, speaking engagements, teaching experiences, write-ups in publications, and many solo and group shows. An installation artist, she describes her work as an exploration of "the ways that humans attempt to control nature [that] in turn finds a way to adapt or reassert itself." Visit Pfeifer's Website to view her installations Natural Selection, a greenhouse of bonsai, and The Beauty of Life, which was inspired by wallpaper and fabric patterns of Arts and Crafts designer William Morris. Also noteworthy are Pfeifer's works on paper inspired by a residency in Costa Rica, works on cloth that were produced during a residency in Finland, Liminal Space, an installation created during a residency at Philadelphia's Wood Turning Center, and Chandellear, a sound installation on which she collaborated with Christian Bannister. As the portfolio on Pfeifer's site shows, this successful artist is not content to go with the safe and the tried. Nothing she does resembles what she just did. She pushes to the edge to explore what she can do with physical objects, and draws inspiration from forms she finds in whatever environment she's working. She's also an artist whose curiosity and humor produce work that's great fun. Pfeifer is represented by San Francisco's Velvet da Vinci Gallery. then get in the mood. and forget what time it is. . . .
Natasha Tretheway recently was appointed Mississippi's Poet Laureate. She fills the position vacated on the death in November 2010 of Winifred Farrar. My post on Farrar (click link above) contains information about the selection, appointment, and duties of the Poet Laureate, who serves a four-year term. and the kind of density and compression that a poem demands. 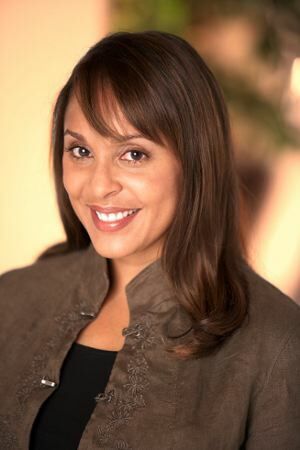 of work with what is implicit. . . .
Gulfport, Mississippi, native Natasha Trethewey is the author of Native Guard (Houghton Mifflin, 2006), Bellocq's Ophelia (Graywolf Press, 2002), and Domestic Work (Graywolf Press, 2000). Her new collection, Thrall (Houghton Mifflin Harcourt), will be published this fall. Tretheway also is the author of Beyond Katrina: A Meditation on the Mississippi Gulf Coast (University of Georgia Press, 2010), a book of creative nonfiction that Trethewey has described in her poem "Liturgy" as "my pilgrimage to the Coast, my memory, my reckoning. . . ." In addition, she is the editor, with Jeb Livingood, of Best New Poets 2007: 50 Poems from Emerging Writers (University of Virginia Press, 2007). it's still present, and I think it's my job as a poet to tend to that. Birthplace and heritage, childhood and family life, death and loss and hope, race and racism, historical erasure (what gets made invisible or buried, left out of history books) and the impulse to recover story, place (the geography and metaphor that are the South) and exile, and the role of memory and remembrance and what it means to "go home" are all themes or subjects explored or celebrated in the poetry of Trethewey, the daughter of a white professor and black social worker who were divorced when the poet was six. Trethewey was just 19 when her abusive stepfather shot and killed her mother. Out of such a past Trethewey has produced often astonishing poems, for which she uses traditional forms that, she told a Bookslut interviewer, serve as "a tool of restraint" in writing about "experiences that are pretty difficult for me." though I'm not; it means Christmas child, even in Mississippi. Trethewey's poems have appeared in numerous literary magazines and periodicals, including Agni, American Poetry Review, Best American Poetry, Callaloo, Gettysburg Review, Kenyon Review, The Massachusetts Review, New England Review, North American Review, Poetry Daily, Poetry Northwest, The Southern Review, and storySouth. The Charles Howard Candler Professor of English and Creative Writing at Emory University, Atlanta, Georgia, Trethewey is the recipient of a Pulitzer Prize (2007), for Native Guard; a Governor's Award for Excellence in the Arts (2008), a Lillian Smith Award for Poetry (2001), Mississippi Institute of Arts and Letters prizes (2001, 2003), and a Cave Canem award (1999), for her debut collection, Domestic Work. Trethewey also has been a fellow at Beinecke Library at Yale University, Guggenheim Foundation, National Endowment for the Arts, Radcliffe Institute for Advanced Study at Harvard University, and The Rockefeller Foundation. 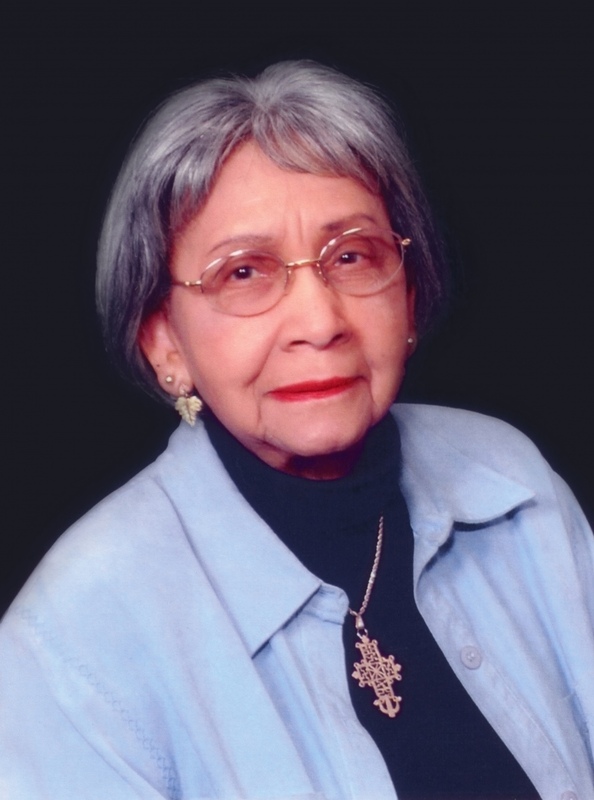 She was named Georgia Woman of the Year in 2008 and inducted into the Fellowship of Southern Writers in 2009 and the Georgia Writers Hall of Fame in 2011. Wednesday Wonder: The Animals Paint!